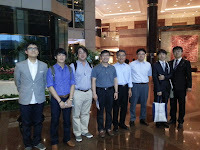 The 7th International Colloquium on Bluff Body Aerodynamics and Applications is held in Shanghai , China on September 2-6, 2012. 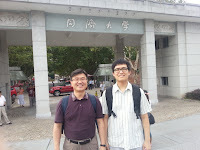 Jin Park and Prof. Kim joined the conference and made a presentation the title of "Flow measurement of vortex-induced vibration of parallel bridge girders by PIV". 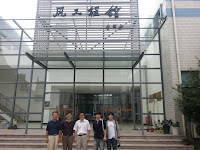 Prof. Zhu invited us to wind tunnel facilities in Tongji University and introduced about them.